This Shoreline low profile insulated dome is designed to cover plated food keeping it warm as well as any contaminants out while in the process of serving. 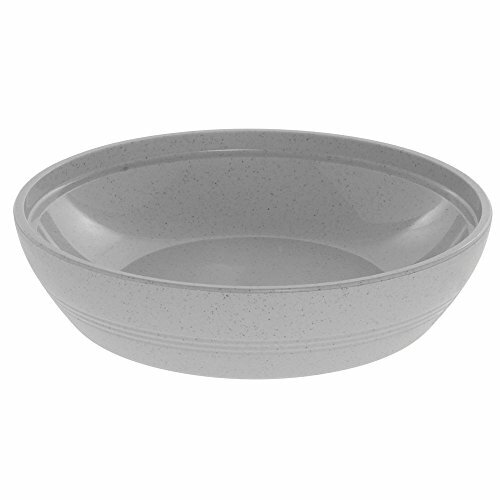 Handsome speckled grey color with contemporary look will enhance your tray top presentation. Each low profile insulated dome is indented on top to form a handle for easy removal. Item is sold individually to accommodate any quantity you may need. The insulated dome is one piece in the meal delivery system from Cambro.